Both series rely on the concept of 'Time Travel' and 'Time Leaps'. Anyone with a thing for time travel should watch this series. both have similarities in terms of storyline and character, in which the main character has an bad fate and is very suffering from the person he loves being killed. In both the shows only the protagonist remembers the past events after time travelling. Both the shows show the protagonist get traumatised due to too much time travel. I think both shows need to be watched if you like AI/SCI-FI related themes. 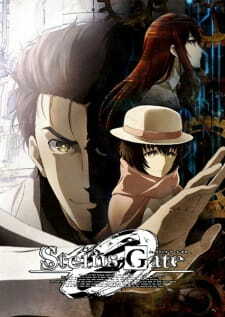 Steins Gate 0 has Amadeus - computer AI with memories of Kurisu while Ghost in the Shell has Makoto Kusanagi who is an android with a human brain but no recollection of the past. Ghost in the Shell has a lot philosophical commentary on what it is to be an android/human and what is the boundary between them. Both being prequels of their respective story timelines and tells about the series of events that lead to the eventual decline and destruction of the world.